Gorgeous 2/2 in highly desired community of Placid Lakes. Placid Lakes offers golfing, 2 restaurants, and a lakefront community park with boat ramp, playground & picnicking on Lake June. Also walking distance to Lake June State Scrub Park hiking trails. This home has been meticulously maintained and shows like a brand new home. Home sits on 3 private, fenced lots with 2 car carport and 10x14 shed with electric and extra concrete poured on the side of the garage for storing your motorhome or boat. 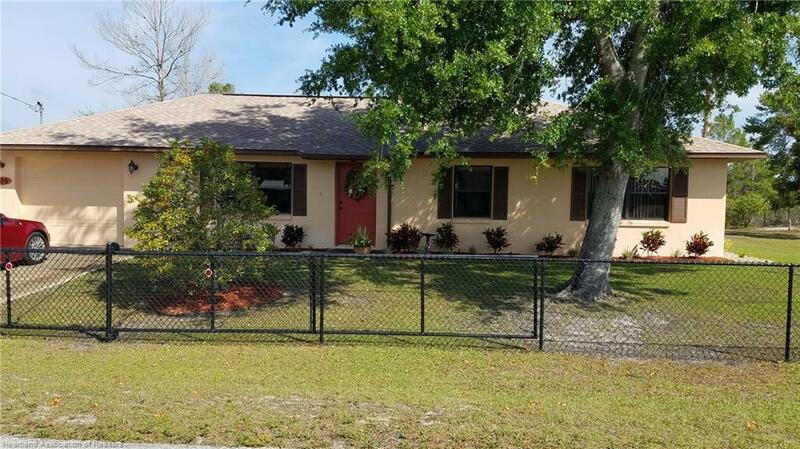 Brand new in 2018: roof, a/c, flooring throughout, water heater, fence, carport, landscaping, garbage disposal and blinds.Upgraded kitchen with granite countertops &large pantry. Master suite with walk in closet and large master bath. This home is truly a must see! Pride of ownership abounds in this home--you will not be disappointed.